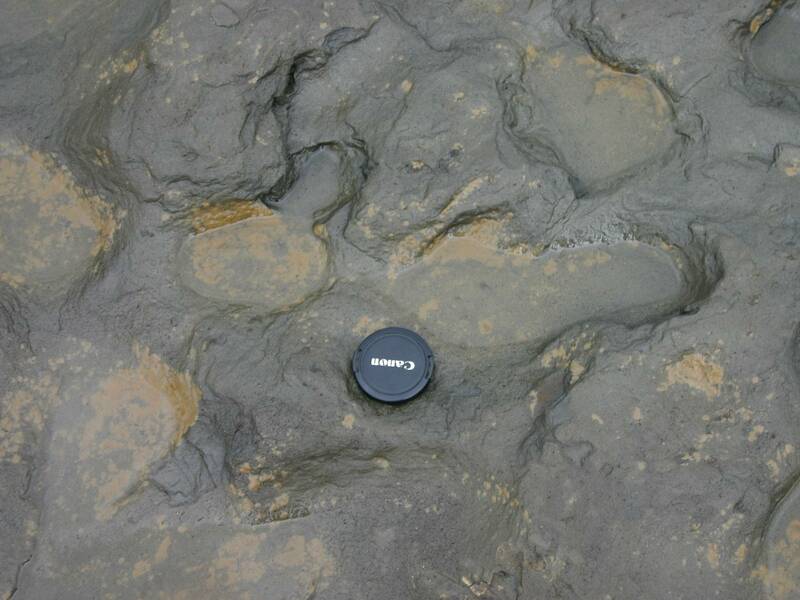 Researchers have discovered footprints left during the Early Pleistocene between one million and 780,000 years ago on a beach in Happisburgh, Norfolk, on the east coast of England. 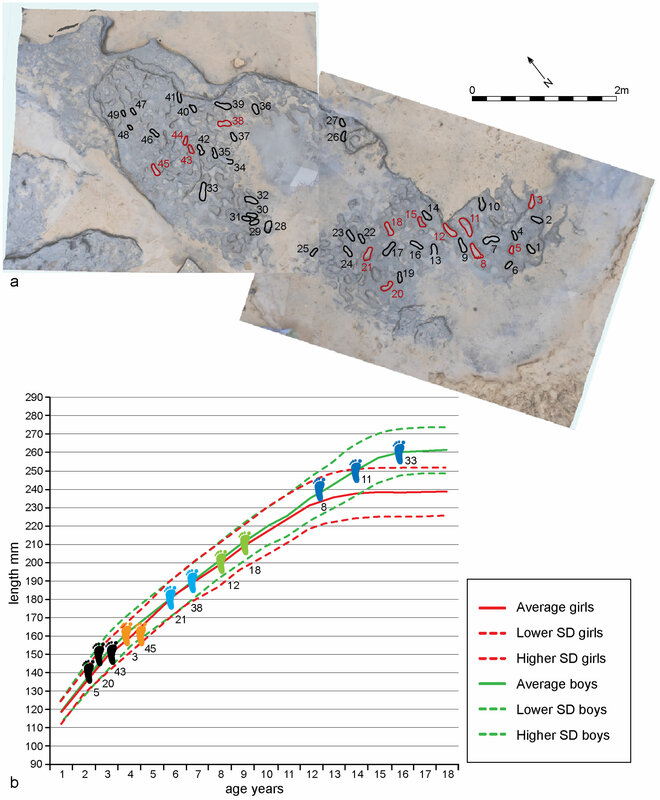 These are the oldest hominid footprints ever found outside of Africa. They’re also the only Early Pleistocene human fossils ever found in the UK. They were revealed last May at low tide after rough seas had beaten the sand off the foreshore exposing laminated silts that were soft sediments a million years ago. 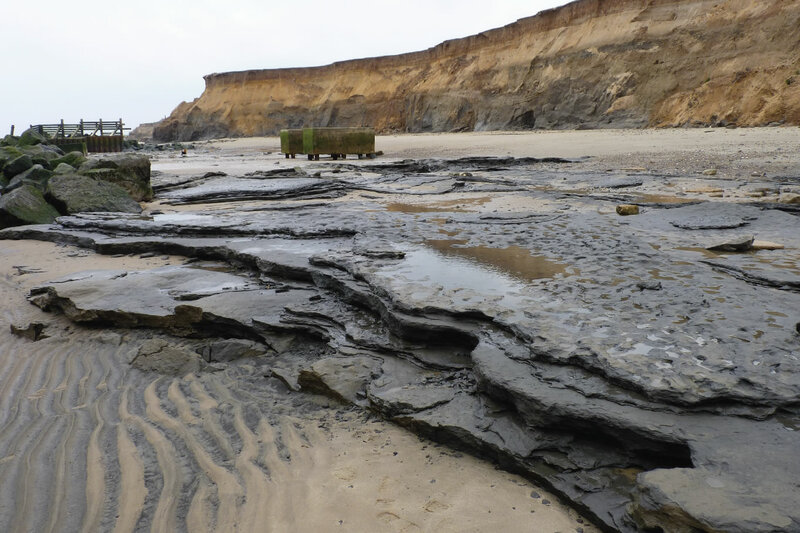 A team of researchers from the British Museum, Natural History Museum and Queen Mary University of London were exploring the shore as part of the Happisburgh Project when they spotted a large group of circular and elongated hollows. They look very much like human footprint fossils from the Holocene era, so the team decided to examine them more closely. There was little time to document and study the find in depth. The scouring of the sand cover left the silts exposed to wave erosion that could flatten out the hollows in a matter of weeks. 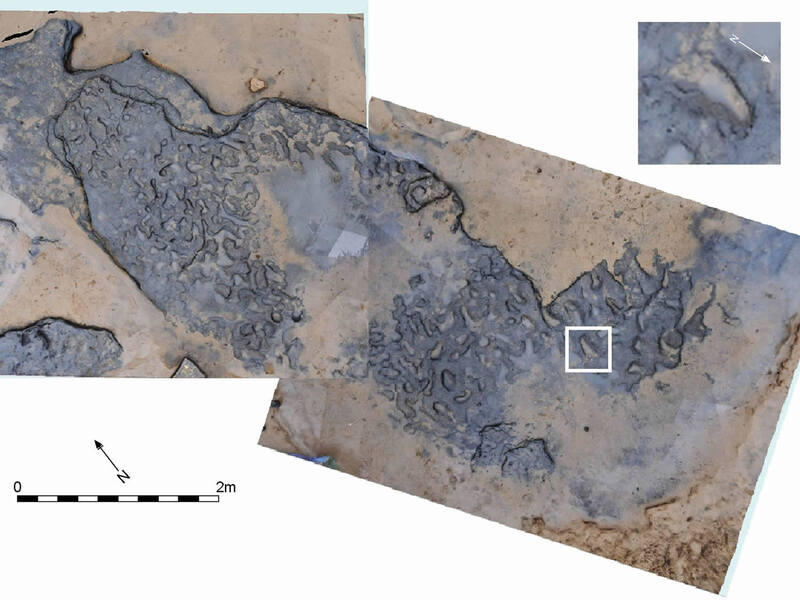 Because the tide carried sand and sea water into the hollows and a near constant rain made it impossible to clear them sufficiently for traditional field measurements to be taken, the team used laser-scanning and multi-image photogrammetry (MIP) to capture high resolution 3D images of the surface. On their hands and knees in the hard rain, they cleared off sand and scooped out water, trying to empty the hollows enough that they could be photographed and scanned. Their heroic efforts were successful. A total of 155 hollows were identified and at least partially measured. Analysis of the MIP images found that orientation could be determined on 49 of them and they were oriented north-south. On 29 of the prints, the arch and either the heel or the front of the foot was visible which made it possible to determine they were going south. Twelve of the hollows were clearly outlined enough to be thoroughly measured. These ranged in dimension from 30–50 mm (1.2″-2″) deep, 140–250 mm (5.5″-9.8″) long and 60–110 mm (2.4″-4.3″) wide, all within the range of juvenile to adult hominid foot sizes. One footprint even has visible toes. Extrapolating from the foot size, the people who left the prints are estimated to have been between .93 meters (3′) and 1.73 meters (5’8″) tall. Dr Isabelle De Groote, an anthropologist at Liverpool John Moores University who studied the prints, said: “We have identified at least five individuals here. “It is likely they were somehow related, and if they were not direct family members they will have belonged to the same family group. “The footprints were fairly close together so we think they were walking rather than running. Most were directly alongside the river in a southerly direction but also there were some going in all different directions like they were pottering around. Since no hominid bones have been found, we can’t be certain was species left the footprints. One possibility is that they were relatives of the species Homo antecessor, or Pioneer Man. Homo antecessor bones of similar age have been discovered at Atapuerca in northern Spain. They walked upright and were of the same general height range as the estimates from the footprints. Homo antecessor appears to have become extinct around 600,000 years ago. It’s incredibly fortunate for us that this important find was made and documented in two weeks, because just as the experts feared, coastal erosion completely removed the prints by the end of May. They’re gone now, and who knows what other remains of major international significance are going with them. You can read the paper on the find in the online journal Plos One. It’s eminently readable, not too jargon-intensive and quite short. I highly recommend it. This entry was posted on Friday, February 7th, 2014 at 11:55 PM	and is filed under Ancient. You can follow any responses to this entry through the RSS 2.0 feed. You can skip to the end and leave a response. Pinging is currently not allowed. I’ve seen features very similar to those in our local Franciscan formation mudstone on beaches in CA, USA, so I wonder if those so called human foot prints were looked at by a geologist, a Sedimentologist to be specific. And as someone who knows a bit about tracking, I’m not seeing the tale tale signs of motion in these photos, so I’m skeptical. Well, too fast to post, after reading the paper I see this: “in one case the impression of toes can be seen.”, so it’s not just a natural formation. Which means now I have to try to remember where I’ve seen those similar formations around here, hmmmm. The paper also goes into some detail about the laminated silts and the kind of natural formations they develop. The hollows are definitely not among them. I should have included that bit in my post, perhaps. This story has appeared in several outlets. Nowhere is the coverage better than in this blog. Thank you for a thoughtful, well-illustrated and thorough posting. Wow, thank you very much. That’s high praise indeed. What a fantastic discovery. Thanks for the great pictures and links. The pictures are particularly important in this case since they’re all we have left. I am curious about why, especially in shale formations subject to erosion anyway, the formations could not have been removed for further study. Were there technical or other reasons this was not done? 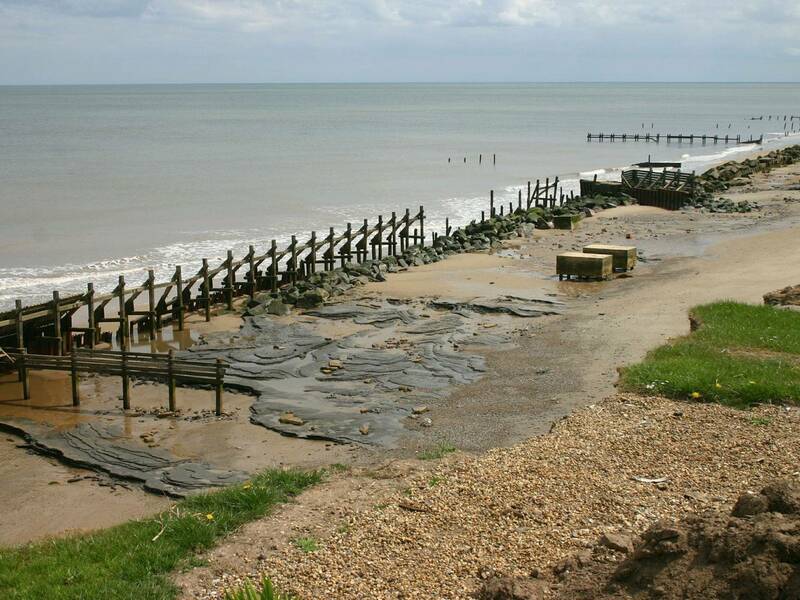 I don’t know, but I suspect there are laws against it because the Norfolk coast is particularly susceptible to dramatic erosion so I wouldn’t be surprised if there were measures in place to keep people from making it worse. I’ll see if I can find out for sure. My thoughts exactly. Such a tragic loss! When I started reading I was hoping against hope that at least impressions were taken. Maybe more will surface in the area…. The area has been found to be replete with Early Pleistocene remains, so I’m hoping they’ll find more footprints perhaps out of the reach of crashing waves. And the ancient cry was heard resounding through the ages “Wipe your feet before you go in the cave!”. Wow…, this was a really shocking news, i can’t believe on that. 800000 years old footprints? sometimes it become very hard to believe that those footprints still exist. There are still many hidden stories needs to be unveiled. The earth is full of mysteries. Awesome.. Full of knowledgeable facts. 800000 years old footprints? sometimes it become very hard to believe that those footprints still exist. There are still many hidden stories needs to be unveiled. The earth is full of mysteries. First to thanks Livius for sharing this too informative and unique post. Really it’s quite hard to believe on these thoughts but it’s white true and our earth is too mysteries is an also a true. Overall great post sir…………i read the first time this type of thoughts……it’s totally new for me.